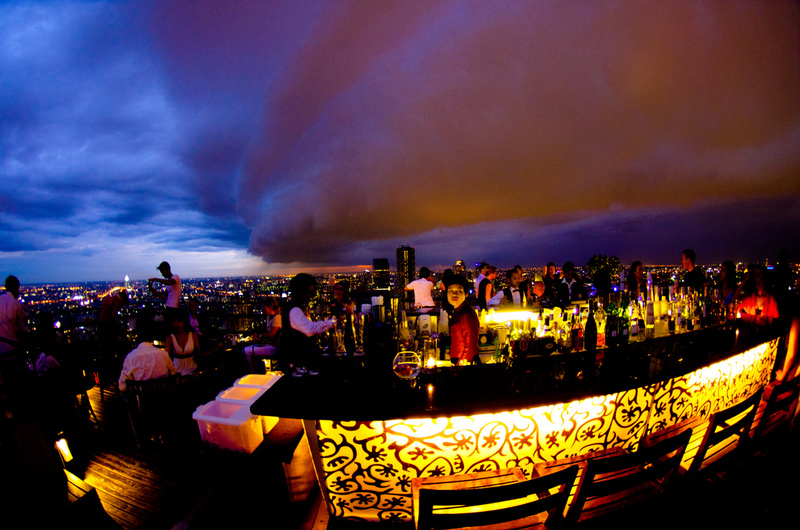 One of the best afternoons I’ve ever had on my travels was spent sucking down vodka tonics at the rooftop bar at the Rex Hotel in Ho Chi Minh City, Viet Nam. I was in awe of the view and surroundings and couldn’t help but imagine myself sitting there in the 60s and early 70s with the rest of the reporters covering the Viet Nam war. 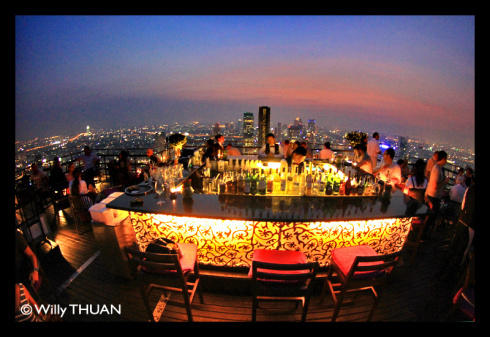 The scene had obviously changed in the decades since and the view of HCMC from this perch downtown was that of a modern sprawling metropolis. 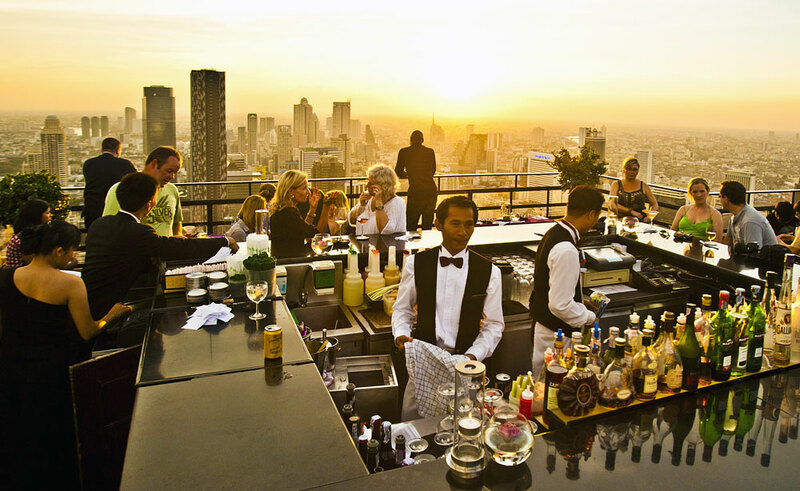 Ever since then, I’ve been fascinated by rooftop bars, especially those in larger cities where the waves, sand and stars of my favorite beach bars are replaced by the honking cars, glass and metal skyscrapers and glittering lights of the city. I’ve never been to Bangkok but I hear one night there makes a hard man humble. 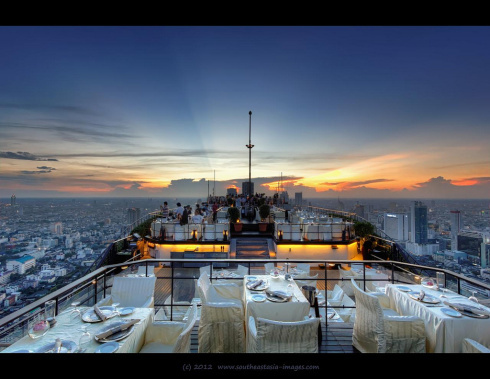 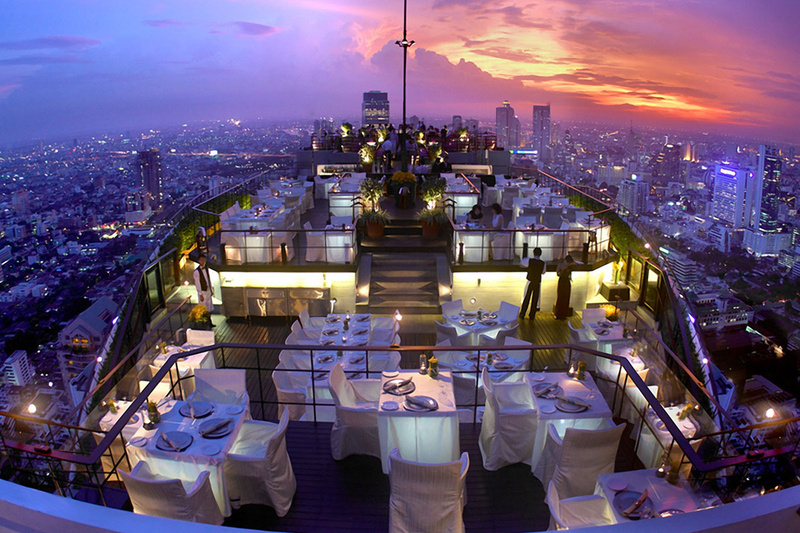 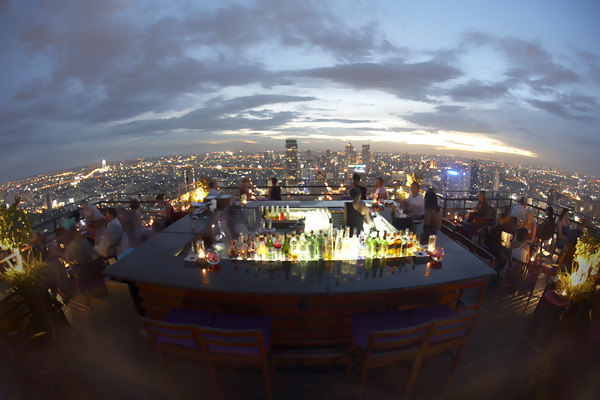 If my travels ever do allow me the chance to spend a night or two there, the Vertigo and Moon Bar and Banyan Tree will be one of my first stops. 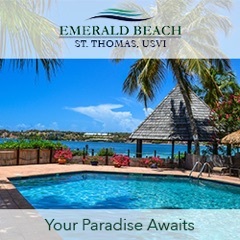 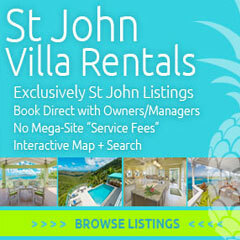 Trip Advisor page can be found here.